Whether it’s advocating for good farm policies or positive trade agreements, or correcting misperceptions about farming methods or products, agriculture has always needed strong leaders. 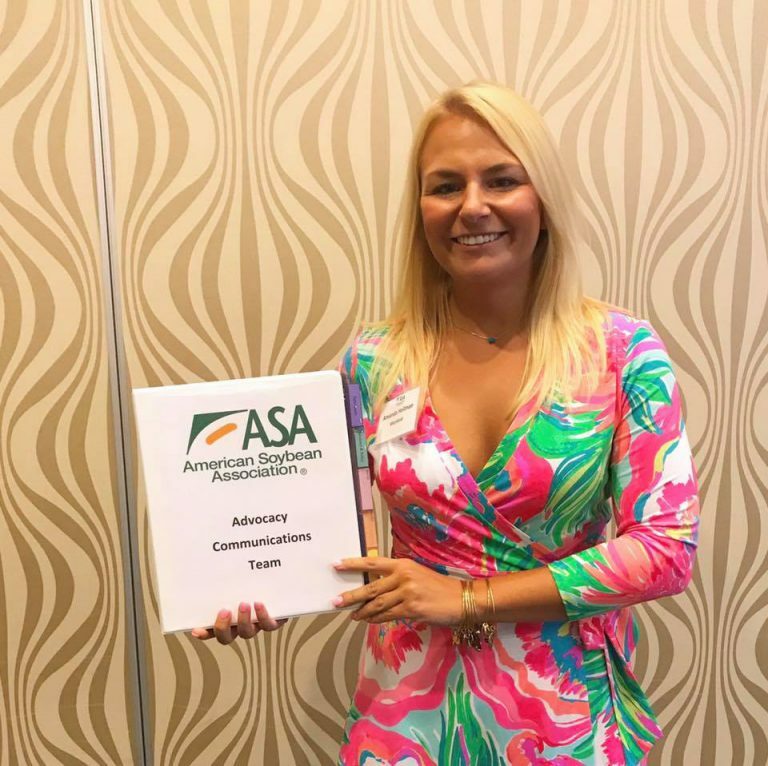 The American Soybean Association (ASA) and its corporate partners have committed to training leaders who can take up the challenges farming’s future has to offer. Past participants in ASA training programs have gone on to serve on state associations and national boards, been elected to local, state, and federal positions, and served in regulatory capacities. Following are four opportunities for leadership training offered by ASA and its corporate co-sponsors. 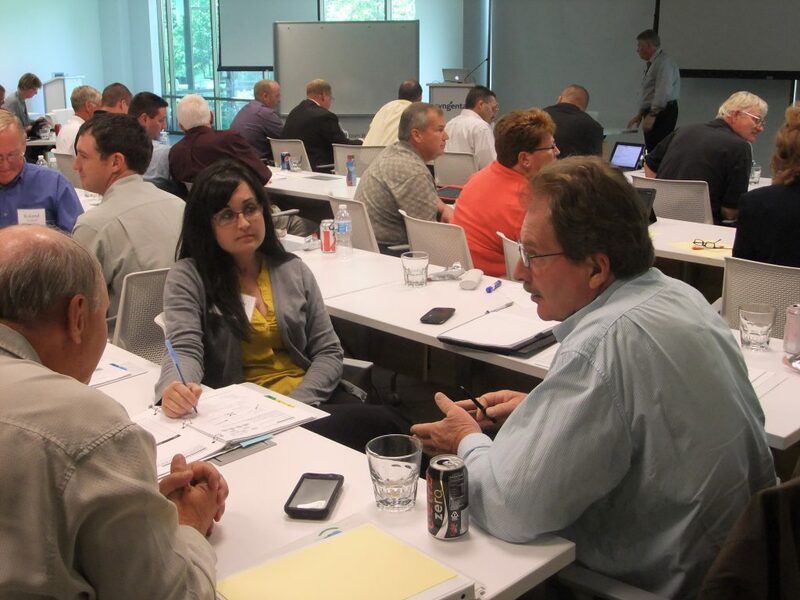 Leadership At Its Best participants discuss how to address legislative issues, interact with the media, manage diverse communications styles, plan and strategize for the future, and improve productivity. This program is for current directors or committee chairs of state soybean associations who have a strong desire to assume top leadership positions. The training sessions cover advanced leadership, agricultural issues, communications and media training. 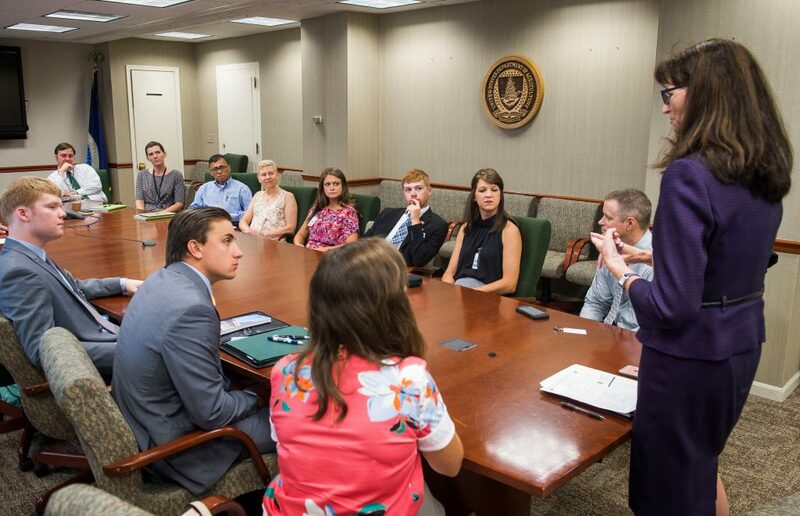 Part of the training takes place in Washington, D.C., and includes Capitol Hill visits. Many states have a selection process to determine who will represent their state at the Leadership At Its Best program. Syngenta partners with ASA to sponsor and lead the training sessions. Laura Peterson, head of federal government and industry relations for Syngenta, said there are many opportunities where growers may advocate for their farms, whether it’s speaking on government issues, talking to the media, or engaging with people who share different viewpoints. “With a little training, they will be more equipped and confident to handle situations and changes we see across the ag food chain. They’ll do what they do best—provide impact on legislative, regulatory and societal issues by being a greater voice for agriculture,” Peterson said. Ag Voices of the Future students learn more about the regulatory process during a presentation by Sheryl Kunickis, director, Office of Pest Management Policy at USDA in Washington, D.C., during their training. This training program is targeted at young people who want to improve their understanding of major policy issues impacting soybean farmers. Valent is the ASA’s corporate partner for Ag Voices of the Future. While the program targets college students ages 18-20, older students also are considered for the Ag Voices program. During the training, participants meet with their legislators and do some lobbying. Smith said the program helps prepare students to become legislative aides, U.S. Department of Agriculture or Food and Drug Administration employees, or legislators. The students aren’t forgotten once they leave the program. Smith said they monitor those who complete the program for the next three to four years. “We’ll help them along in their careers, recommend them for internships, provide references, write them letters of recommendation,” Smith said. This training program seeks soybean farmers with a passion for interacting with consumers and the media to spread accurate messages about modern agriculture. ACT teammates are spread across 30 soybean-growing states and help the ASA respond to issues at national, regional and local levels. Lee Hall, industry relations lead for Bayer Crop Science, said the ACT program is not only an important media tool, but also a way to help support the entire ag industry. Bayer is ASA’s co-sponsor for the training. During the program, the training team interviews participants on camera and demonstrates on video how the participants improve as they progress through the training. Hall said the training helps participants shore up any weaknesses they may have and helps them get their message across during an interview, focusing on their talking points. Participants represent a wide range of age and experience. This training, co-sponsored by Corteva Agriscience, is a two-part educational program for individuals and couples who are active farmers. The Young Leader Program is ASA’s longest running leadership program, founded in 1984 to find and train new leaders. Participants commit to attend two training sessions. The program is leadership focused with components on communications and issues information. Networking is also a strong aspect of the program. The participants are in an environment where they are with other growers and can talk about their farming operations and learn from each other. The program often results in many new friendships developing. In addition to individual farmer participants, the program also is open to couples who farm together. One of the key advantages of recognizing and training both partners at the same time is that there is not an information gap. They are each experiencing the training firsthand. Which means they are then able to take those skills and what they have learned and working together find ways to apply it to their operation. 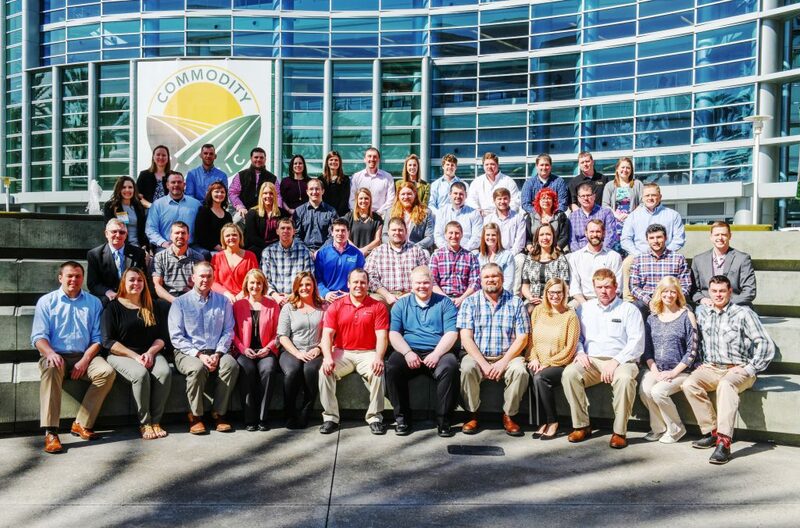 The 35-year-old program has evolved over time and continues to provide strong agricultural leaders. There have been people who have gone through the Young Leader training and later run for political office or serve in state government. As is the case with the current director of the Nebraska Department of agriculture and the governor of South Dakota, who both have gone through the Young Leader program.